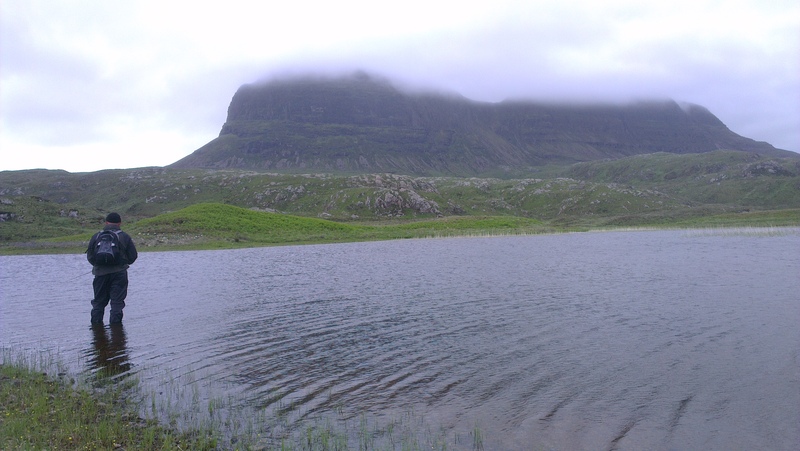 An interesting weekend – both bike wise and fishing wise. 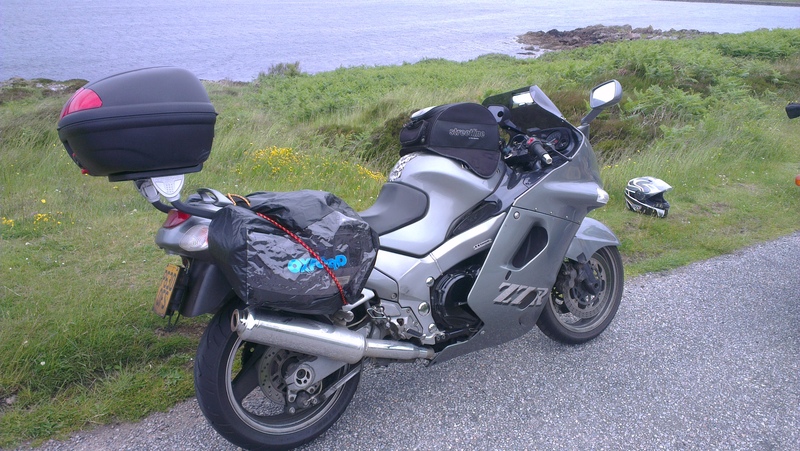 The run up to Lochinver was great – some of the roads are simply the best you could get – Doune to Achnasheen on the A890 is fabulous if you like the opportunity to, er, test the higher end of the bike’s performance – there’s certainly space to do it there anyway …. at you, and your licences’ own risk of course!! 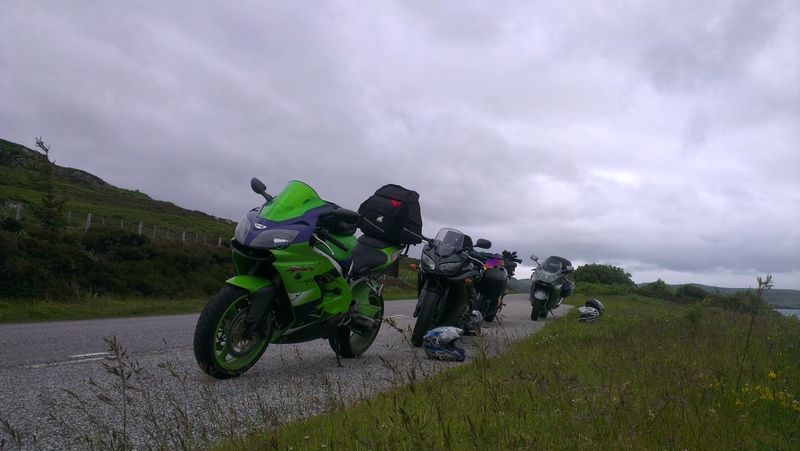 The roads up in Assynt should be on every biker’s road list – the scenery is amazing, and the roads are nice and twisty, and above all, quiet. Roads to avoid – the A82 north of Fort William – busy, and mostly double white lines, trapping you in the endless slow lines of traffic – absolute boredom. Interesting roads… the A939 from Nairn heading south – the road south of the Lecht ski centre is a proper roller coaster road, with some intensely steep downhills. Key learning point for me – in traffic queues, when hopscotching up through the cars, I often was able to get into the same space as Dave on the bike ahead of me, but that meant riding quite close to him, and between that proximity and my habit of moving out wide to get better views made him very uneasy, and he then felt he had to check carefully what I was doing before he could think about his next move. My bad. I hadn’t really thought about the influence my riding would have on him – I just assumed he wouldn’t mind me being close behind, ready to take the next overtake once he’d gone, but it annoyed him instead. It’s a strong learning point for me. Ironically, I think having done my IAM it’s made me quite comfortable having bikes in close proximity to me – but clearly it’s a mistake to expect others will feel the same. I’m always ready to assess my riding in the hope of finding a way to improve, and this was an important lesson for me. Cornering – the week before this trip, I went to the IAM skills evening on Knockhill racetrack – a chance to practice cornering skills on a closed, one way road, with no-one trying to overtake, and no unexpected hazards lurking around the corner – that gave me much more confidence in the twisties for this trip – and even though the ZZR is hardly a nimble bike, it was still clearly far more capable in the bends than I am. 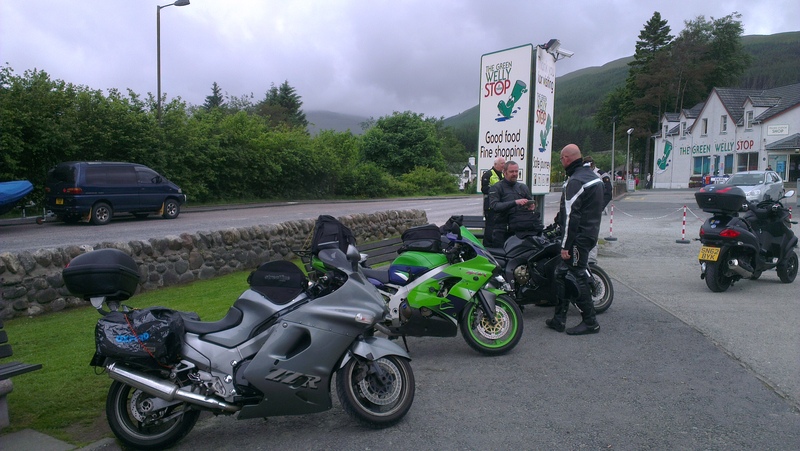 The very last leg of our journey to Lochinver was done in the rain – I don’t mind the rain – I’ve learnt over hundreds and hundreds of wet miles commuting on the bike, that the Bridgestone BT023 tyres are quite at home in the wet, and since I’m never normally riding close to the limit of either the tyres or the bike, there’s no reason to fear the wet. Fishing – well, I’m not really a dyed-in-the-wool hardy fisherman – but we were in the company of one – and clearly in fishing, it’s not just selecting the right fly, the right line, and having the right casting technique and the right draw speed, it’s also being persistent – he caught his best fish not long after we’d given up and gone home for a shower after hours and hours of struggling to cast in the strong, gusting, winds – in fishing, you’ve got to BE fishing to catch a fish, and while lesser mortals like us have our limits, he doesn’t really seem to – and so he catches the fish! Next year? 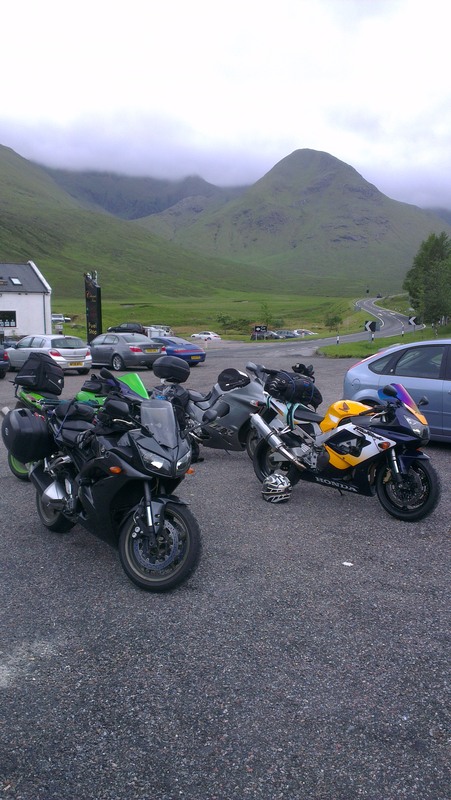 Well this year two of the guys ditched the fishing in favour of taking the bikes out to explore the northern Scottish coast, and they had a ball. 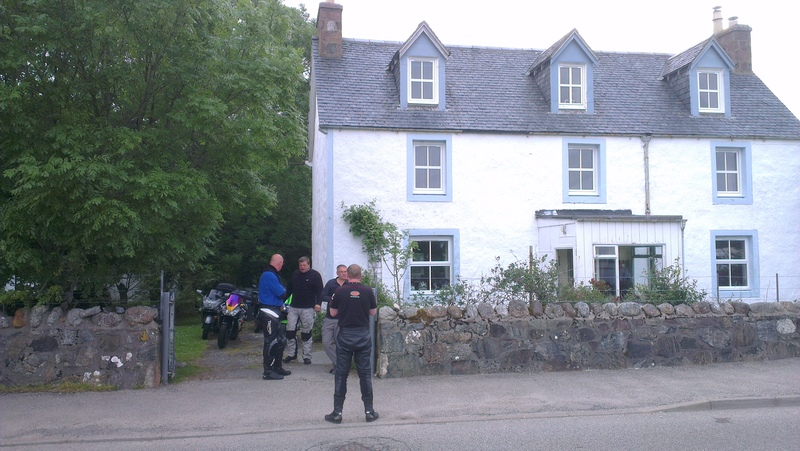 I reckon if there is another Lochinver trip on the cards next year, I’ll have to work in at least one biking day to go explore further North.